Comment: I would like to get an estimate for replacing the batteries on my thermostat. I'm afraid to do it myself and don't want to damage the thermostat. Comment: Replacing 2.5 ton Carrier unit. Probably need 3 ton for 1726 sq ft 1-story home. Unit is working fine but 21 years old. 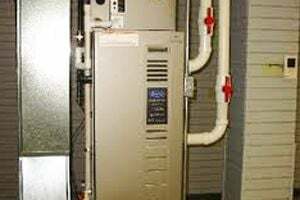 Comment: Need to replace heat pump system. Have original builder grade equipment that has fortunately exceeded its life span. Comment: Furnace and AC are over 15 years old. Thompson's Cooling and Heating, Inc.
Bentley A/C & Heating Inc.
Arlington Heating & Furnace Contractors are rated 4.74 out of 5 based on 5,634 reviews of 91 pros. Not Looking for Heating & Furnace Systems Contractors in Arlington, TX?